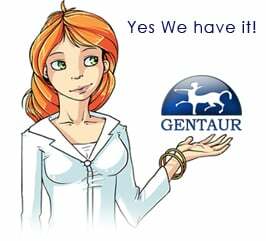 Gentaur antibody-antibodies.com The Marketplace for Antibodies : Negative regulation of protein translation by mitogen-activated protein kinase-interacting kinases 1 and 2. Negative regulation of protein translation by mitogen-activated protein kinase-interacting kinases 1 and 2. Eukaryotic initiation factor 4E (eIF4E) is a key component of the translational machinery and an important modulator of cell growth and proliferation. The activity of eIF4E is thought to be regulated by interaction with inhibitory binding proteins (4E-BPs) and phosphorylation by mitogen-activated protein (MAP) kinase-interacting kinase (MNK) on Ser209 in response to mitogens and cellular stress. Here we demonstrate that phosphorylation of eIF4E via MNK1 is mediated via the activation of either the Erk or p38 pathway. We further show that expression of active mutants of MNK1 and MNK2 in 293 cells diminishes cap-dependent translation relative to cap-independent translation in a transient reporter assay. The same effect on cap-dependent translation was observed when MNK1 was activated by the Erk or p38 pathway. In line with these findings, addition of recombinant active MNK1 to rabbit reticulocyte lysate resulted in a reduced protein synthesis in vitro, and overexpression of MNK2 caused a decreased rate of protein synthesis in 293 cells. By using CGP 57380, a novel low-molecular-weight kinase inhibitor of MNK1, we demonstrate that eIF4E phosphorylation is not crucial to the formation of the initiation complex, mitogen-stimulated increase in cap-dependent translation, and cell proliferation. Our results imply that activation of MNK by MAP kinase pathways does not constitute a positive regulatory mechanism to cap-dependent translation. Instead, we propose that the kinase activity of MNKs, eventually through phosphorylation of eIF4E, may serve to limit cap-dependent translation under physiological conditions.